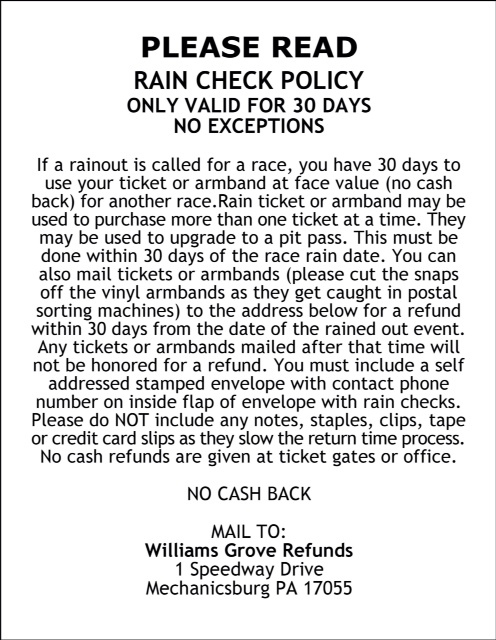 Mechanicsburg – Williams Grove Speedway has announced its 2015 schedule of events with Opening Day races set for Friday, March 27 at 7:30 pm, featuring the 410 sprint cars and the exciting super late models. The season will be bookended with visits by the super late models as the once-regular Williams Grove division takes part in the opener and than again in the season finale in October. The 2015 Williams Grove Speedway Lawrence Chevrolet 410 Sprint Car Champion will be crowned via the annual National Open next season as the conclusion of the newly expanded three-day National Open on October 3 will round out point racing for the year. A test and tune program will pre-date the season opener in March, taking place at 1 pm on Sunday March 22. The session will be open to 410 and 358 sprints, super sportsman, 358 late models and street stocks. The popular 410 sprints are slated to race in 34 programs during the 2015 Williams Grove season with the usual cast of big events dotting the slate. The 358 sprint cars will launch their 2015 campaign along with the 410 sprints on April 10 before returning 13 more more times during the season including three occasions when they will join forces to compete with the URC 360-powered sprints. The first big Williams Grove race of the season comes up on April 17 when the Spring Classic Tommy Hinnershitz Memorial is staged as a kickoff to the 2015 Hoosier Diamond Series of races at the track. The Hoosier Diamond Series will include 11 events with a posted $5,000 going to the series champion at series end. The Hoosier Diamond Series is run each season comprised of some of the biggest oval races of the year, carrying their own points and payoff. Other big Williams Grove 410 sprint paydays in 2015 include a pair of Pennsylvania Speedweek shows, kicking off the series Friday, June 26 before returning on July 3 with the highlight of Speedweek, the Mitch Smith Memorial. Twin 20s for 410 sprints will be spun off on August 21 before the Jack Gunn Memorial “Down Under” honoring the late Hall of Fame promoter, returns on September 4. The 410 and 358 sprints will make up the Billy Kimmel Memorial on Sunday, September 6. The STP World of Outlaws 410 sprint cars will be back at Williams Grove Speedway with an expanded schedule in 2015 as the prestigious, heralded National Open gets expanded to a three-day race party. The 53rd annual Williams Grove Speedway National Open races will take place Thursday, October 1 and Friday, October 2 with the finale being staged on Saturday, October 3. Thursday and Friday’s shows will pay $10,000 to win with the Open itself paying $50,000 to the champion on Saturday when the oval champion is crowned. The May weekend WoO stand spans May 15 and 16. The Summer Nationals for the World of Outlaws will take place July 24 and 25. The UNOH All Star Circuit of Champions Sprints will be hosted at Williams Grove on two occasions during the season, first appearing on April 24 and then again on June 12. The season will come to a close on Saturday, October 9 with a special “Run What You Brung” program of 410 sprints and super late models. Starting time for all sprint car events at the track in 2015 aside from the season finale is set for 7:30 pm with warm-ups slated to take place 30 minutes prior. The kickoff of the 2015 Saturday Night Series featuring the super sportsman is slated for Saturday, May 2. View the full schedule for both the sprint cars and the Saturday Night Series at www.williamsgrove.com. 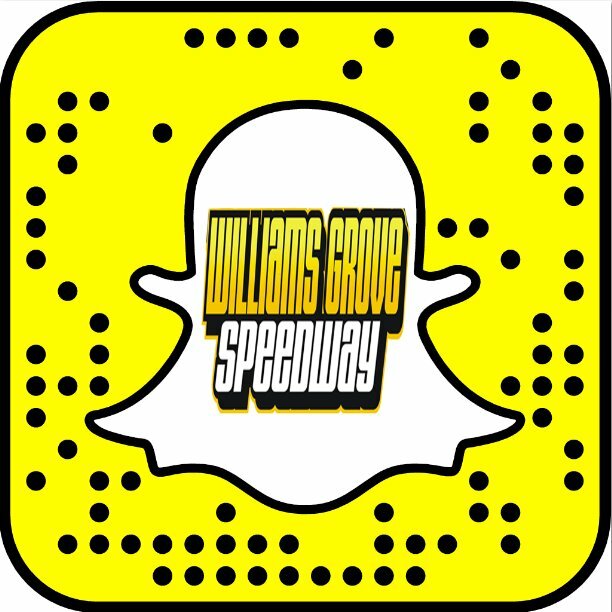 Keep up to date on the latest Williams Grove Speedway news by following the oval on Facebook or Twitter.